Some of our work on one of Victoria's premier residences was recently featured on Better Homes and Gardens. 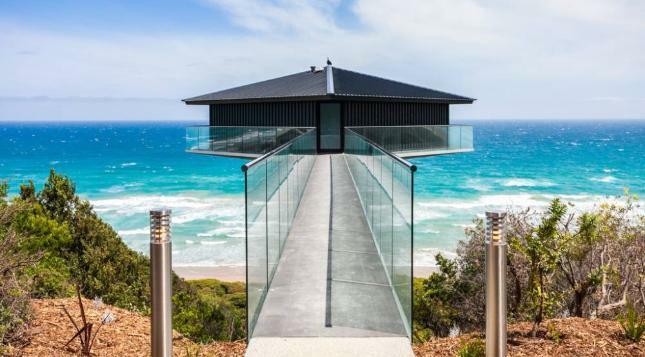 The iconic pole house in Fairhaven is a landmark for anyone who has ever driven along the Great Ocean Road, with the distinct building soaring over the seascape. The adjoining residence was also highlighted, with our Cinema installation being singled out as one of the buildings most impressive features. We also specified and provided the comprehensive home automation systems for the residence fulfilling a unique brief by the owners. Martin Liedtke our general manager is responsible for the development of this and our other high end residential projects. He claims to be too busy to post a portfolio of his works however Better Homes and Gardens did a nice show on The Pole House recently and we have linked to it below.